BBC Music Magazine: Editor's Choice; Music Web International: outstanding, recording of the year 2009. 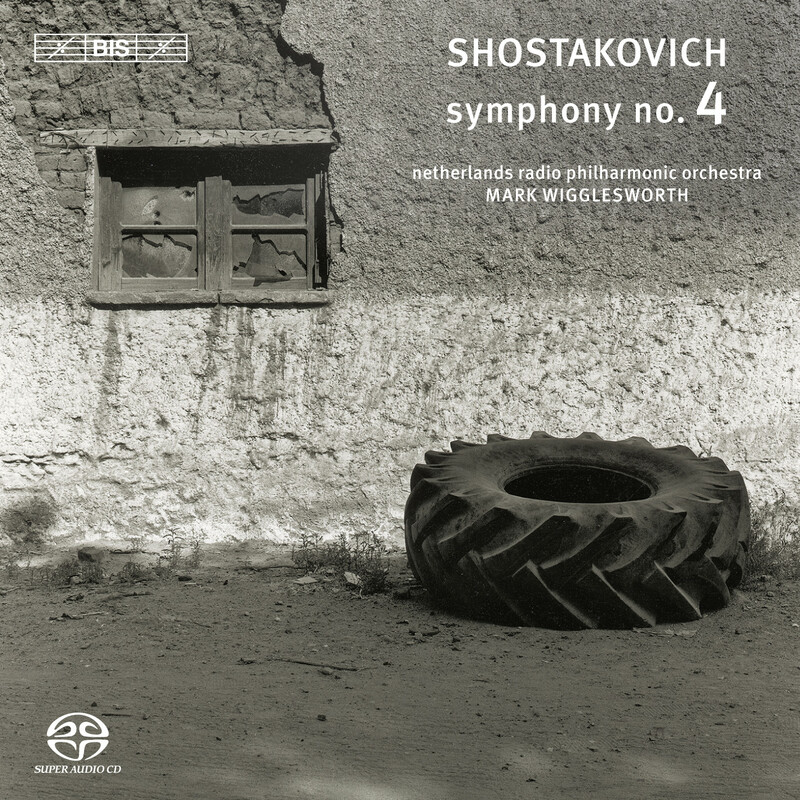 As conductor Mark Wigglesworth relates in his own liner notes, when Dmitri Shostakovich began working on Symphony No.4, his opera Lady Macbeth of Mtsensk had been a sensational success and the composer was the musical golden child of the Soviet Union. Soon after Stalin himself went to see the opera, however, and immediately wrote an article in the newspaper Pravda that described the twenty-nine year old musician as an enemy of the state. Suddenly Shostakovich's life was turned upside down, but he remained unbowed – much later in life he is reported as having said: ‘Instead of repenting I composed my Fourth Symphony.’ The work was finished in May 1936, but during rehearsals for the first performance Shostakovich suddenly withdrew the symphony. Various reasons for this have been put forward, but an undisputed fact is that life in Soviet at the time was characterized by an almost universal fear brought about by the oppression excercised by the state, a fear that Shostakovich certainly shared: ‘ It was a low that wiped out my past. And my future. The terrible pre-war years. That is what my symphonies, beginning with the Fourth are about.’ The manuscript of the unperformed work was lost during the war, and it was not until well after the death of Stalin that the orchestral parts were rediscovered. The Fourth Symphony was finally performed on December 30 1961, exactly twenty-five years later than originally intended. 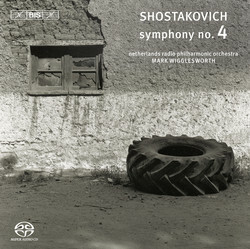 The present disc is the seventh in Mark Wigglesworth’s complete cycle of Shostakovich’s symphonies and the fourth to feature the Netherlands Radio Philharmonic Orchestra. This partnership has gone from strength to strength, with their Symphony No. 13 (‘Babi Yar’) described as ‘probably the most convincing to have appeared in the West’ in International Record Review, and the coupling of Symphonies Nos 9 and 12 being designated a benchmark recording in BBC Music Magazine. They now take on this huge work – it calls for an orchestra of 125 musicians and has a duration of well over an hour – that came to form a watershed in a great composer’s life and output.